Below the design I submitted to the “Angel Project” at Kingston Parish Church. Not quite sure what’s happening with the “Angel Project”… The idea was for some designs to be selected and printed, then given to those who made donations for the renovations needed in the church…Still brewing, I think. I enjoy a bit of work on the computer from time to time, and was pleased with the outcome of this. Yet to find out if anything is going to happen with it, as it hasn’t been selected, and possible may not. Well, the light at this time of year is just great for photographing texture… And so I did, results below. As the painting is no longer in my possession, it is helpful to have the images in order to remember what I did. I am not sure if I will do such a geometric abstract painting again, preferring the mark making, gesture, and lyricism explored in the recent past, but it was a good experiment and I took quite a lot away from the experience which I can utilize in other abstraction with acrylics for certain. All Glass abstract painting with glass beads – Jenny Meehan influenced by John Tunnard’s painting which I am very fond of, no doubt! 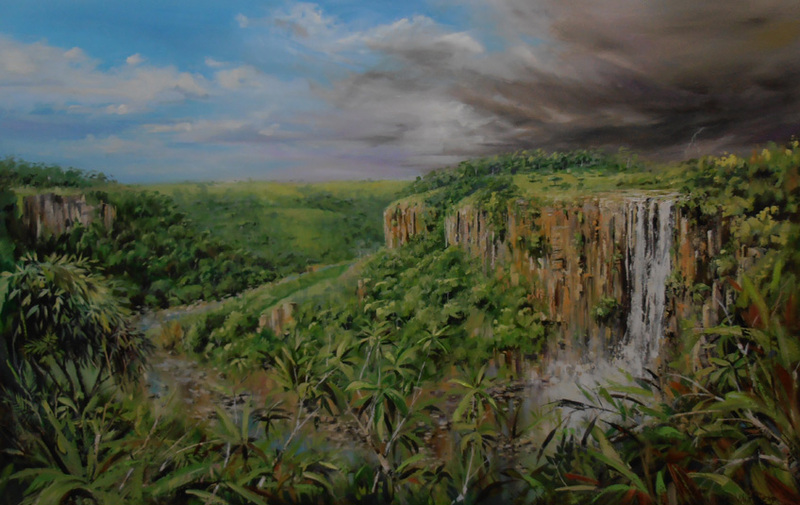 If you are interested in commissioning a painting, just contact me and we can discuss possibilities. Pricing depends on the size of the painting, materials used, size of the work and the time involved in making it, but a rough guide is from around £200 to £400 for a 70 x 50 cm painting on canvas. I also construct frames for my paintings if required, which add on around another £40 – £60, depending on the type of frame used. Some collectors like to frame-work themselves, which I don’t mind at all…One collector purchased three pieces of work from me and got their local framer to sort out the framing, which was fine from my point of view as the work was on card and board and I don’t like messing around with glass in frames…It doesn’t agree with me at all! 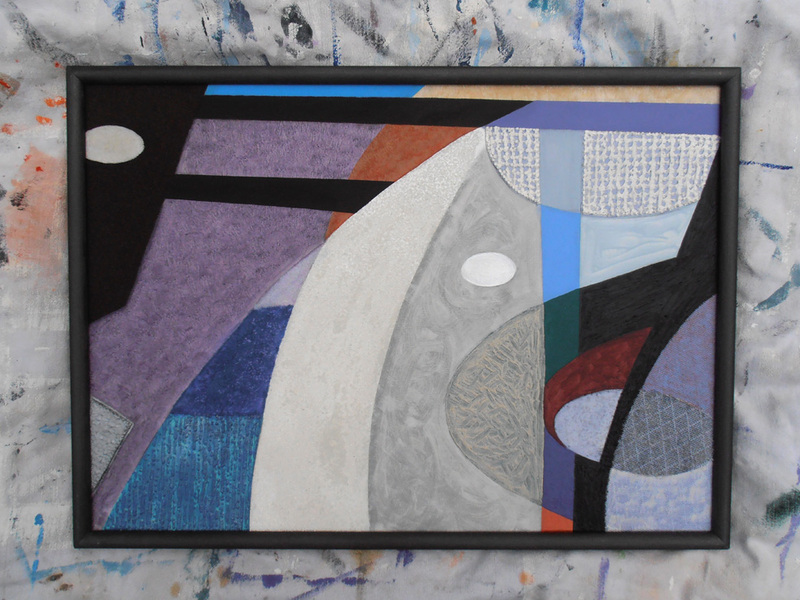 But for the canvas, it works out more economical to buy the frame I provide with the work, plus I do put a fair amount of thought into the framing and how it relates to the painting, so it rather becomes part of the work in a way. I am always encouraged when I find earnest and interested collectors with a passion and love for painting have found my work and of course it is especially lovely when they decide to purchase a piece! What gives me a lot of happiness is when I know that someone has brought something because they respond to it in a way that brings them a lot of pleasure and reward… When it is part of a collection which expresses their own love and interest for visual art, and isn’t just a matter of accumulation, though it must be very enjoyable to develop a strand of interesting artworks, paintings or prints in that way. To have an art collection in which different artists and paintings relate to each other in interesting ways would be a fascination in itself. I would collect myself, if I had more room and more disposable income! Rather love that, I have often felt that my own art working is indeed a way to make sense of the world/my life experiences. I spent some time looking around the exhibition at the Royal College of Art…My original intention was to view the National Open Art Competition show also showing at the Royal College of Art, but thankfully there was more, and I found it. Nothing really grabbed me at the National Open Art Competition show…This doesn’t mean there were not many things of interest, but nothing grabbed me emotionally at all, and I began to wonder if my emotions, like so many leaves right now, had fallen off their branches and were intent on rotting and rotting alone. As I walked around the “Ink China – Excellent Chinese Painting in UK Exhibition” my only real sadness and disappointment was that all these painters were men…There were plenty of masters, but not one mistress in sight! Well, maybe “Paintress” would avoid confusion…And firmly place the exact role in focus without any confusion! Well, thank you, thank you and thank you again. I will meditate in my room, as the curator advised. And let me pray that those paintresses will be free to join the painting masters in the task so well suited to the gentle spirit which we desire to cultivate in the production of art. And may the gentle nature which we see in living creation, though often faced with destruction, death and dying…Let it flourish. I found this on the internet, and it was very interesting indeed. It is quite hard to listen to, and needs some patience, but I found it well worth the effort. I am quite interested in the combination of very great structure and also very great freedom of expression, (maybe order and chaos?!) and it must be surely a very significant and interesting time for artists trained with such structure and yet opened up to all that lies beyond the many years of tradition. Indeed the interest lies not only in the subject matter (I have already expressed my orientation towards mountains/rocks and water!) but also in the potential of the extreme control of composition and mark-making combined with the free flowing and spontaneous….Maybe the rock of structure with the flow of the completely un knowable and uncontrollable… Oh, I ramble on, but it is a pleasant journey. Poetic form with emotion is a heart which beats very strongly, and for me, made my responses to the Chinese paintings I saw recently much more engaging and something which helps me to clarify certain strands in my own visual practice…Certain values and interests which have been sneaking up rather quietly but which hold some plentiful promises for future directions. There is a lot about China and the way things are so controlled which deeply concern me and seem quite far away from the freedom which I value so much. I have to add this. Because though romantic, I am also quite a realistic type of person! Yet Christ walks with us. Together we are undivided person. Christ leads us along the way, and he is our way. So, I had to search it out and find this ancient sermon…anything ancient sound interesting to me! And so reading in context; essential and dimensional for thinking! Yet another item for the notebook! I am taking a little Christmas break from the blogging, as very much in need of more painting time, which of course gets harder as Christmas approaches and the extra tasks mount up! I have made a Christmas Cake this year for the first time in ages, which I hope will taste wonderful. Dare I say it… In the light of my absence…..Merry Christmas, and a Happy New Year!!!!! Come along and take a look at a variety of paintings, photographs, original artwork and affordable prints. If you are interested, then contact me via my website contact form and I will send you more details. Come to look, chat, discuss. I am happy to consider commissioned paintings too. My price range is between £200 and £400 for unframed paintings under 50 x 70cm, but I also have smaller artworks available to buy for much less, starting at only £15 in the form of digital C prints. Interested? If you cannot make it on Saturday 9th November, but might like to come another time, then contact me though my website http://www.jamartlondon.com and I will place you on my mailing list and let you know when I hold another similar event. Wow! This looks good, shame the cost (while no doubt standard for this type of thing) makes it completely unaccessible to me at this present moment in time. However, I take heart when I see this kind of activity going on, and it looks like it will be a wonderful day. I think by the time I post up this blog entry the Empathy and Compassion in Society Conference will be over as I see it’s down for the 24th October but they have a mailing list which can be joined, so I expect there will be future events and forums to go to. Info on the Empathy and Compassion Society below, not sure why it has appeared like this and if I can re-arrange it or not, but I will just leave like this for now! Empathy and Compassion in Society is a forum for professionals to explore what compassion is, how it can be cultivated, and what benefits it brings to the modern world.Empathy and Compassion in Society aims to present universal and well researched methods for cultivating empathy and compassion, show how these methods can enhance one’s personal and professional life, and share concrete examples of organisations and public institutions where these methods have been shown to be effective. Internationally renowned neuroscientists, psychologists and thinkers share their insights and present methods for developing compassion.Innovators are also invited to submit case studies demonstrating how compassion has been a force for change in their area of work.The conference is for professionals from all sectors, including those working in management, policy, law, education, health, social care, as well as in the private sector. Through IWM’s art collection, Architecture of War presents artists’ responses to the impact of warfare on landscape and environments. The selection spans almost a century of British art, from the First World War to the present day, and explores themes such as construction, destruction, cities and interiors. Some artworks show the united purpose of humans and machines in factories, others show tension in divided cities. Many artists have used ruined buildings to symbolise the effects of warfare on people. Others show the claustrophobic conditions of control rooms and shelters. Well, I took a walk around the Imperial War Museum and though it is in the process of being renovated, I managed to find my way around! I did not know this but the Imperial War Museum possess thousands of paintings and other artworks and there are two exhibitions on at the moment, not just the Architecture of War but also one as part of the “A Family in Wartime” section. I was fortunate to stumble in just before the guided tour, which was very interesting. I have to say I felt the lighting very poor and it was frustrating to see the paintings in such dim and erratic lighting. The guide was lovely, and I brought up the subject of female artists, who, I was informed were much better represented in the selection of work which was hung currently than they were in the war art schemes of their time!!! No surprise there, I guess. Well, I never knew. I will be keeping an eye out for future exhibitions. I am interested in twentieth century British art, so this may be a good place to snoop around in from time to time! 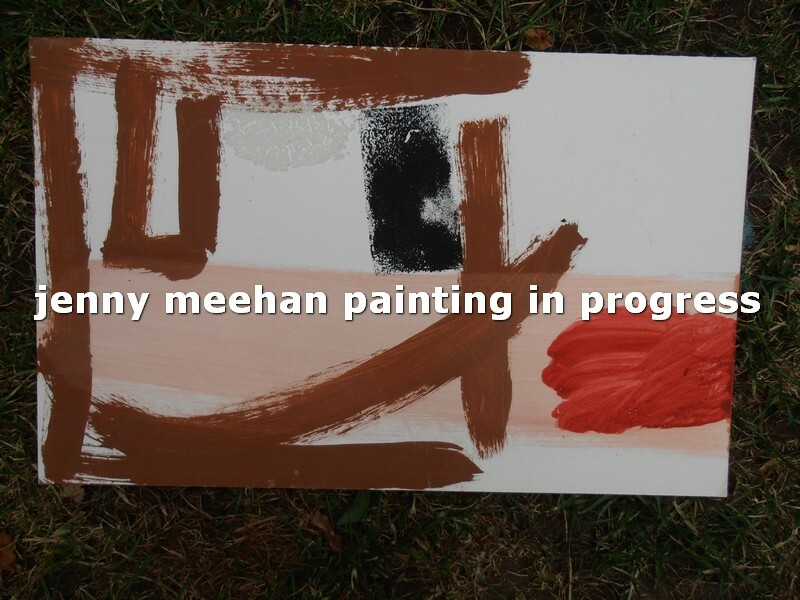 I have several paintings in progress at the moment. All acrylic paintings, and mostly non-objective at this point in time anyway. As I now mix up many of my own paints, thereby getting more control over the intensity of pigment among other factors, the problem of acrylics just being liquid plastic in my thinking is lessened a little. 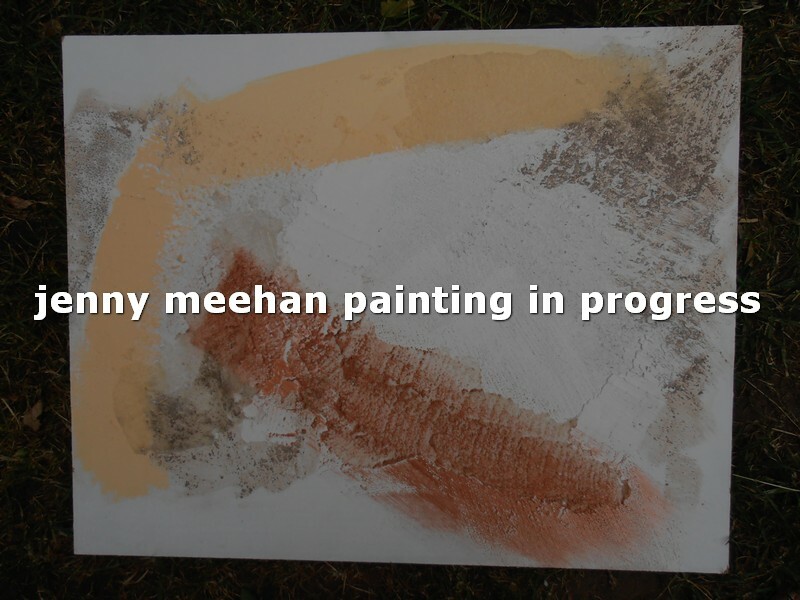 I have need of rapid drying times… And the family don’t like the smell of oil paints very much. But I love oils, and have decided to work on some smaller paintings, around 16x12inches, in order to indulge myself in this avenue. When the Summer comes back to see us next year, I will set up my outdoor “studio”. This studio consists of tarpaulin over a frame, but it will be just the job for allowing me to work on some larger oil paintings without having to clear up everything after each session. This clearing up matter does somewhat spoil the process of immersing oneself into the work I find. With oils, the whole uncontrollable mess business seems to help the painting somehow. The mess in my kitchen studio is normally washing, washing up, and other people’s items. This can be ignored with some determination during a painting session, I have learnt. But it is joyful to leave things out, to be surrounded by the materials you work with, to be completely steeped in the rearrangement of your surroundings which happens when you are working. I am looking forward to it. The light on this image doesn’t really show off the way the beads are working in the piece, so maybe more images up later on. It’s revealing for me to see what I am attracted to in terms of techniques and also subject matter. 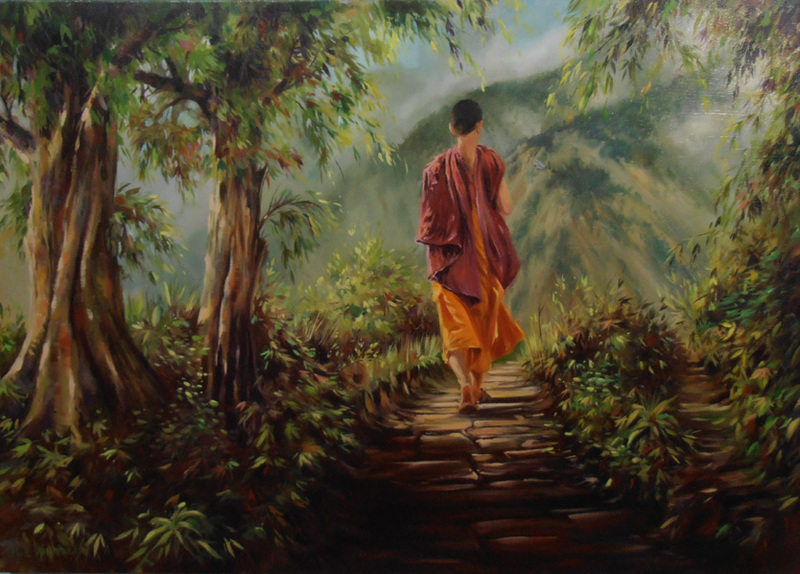 I always fall for a figure viewed from the back (great to identify with) and a water falling over rocks. It seems I may be an incurable romantic. And who wants to be cured? It’s very heartening to see such sensibly priced work too, which makes it more accessible to a wider range of people. It’s a very large space at the Menier Gallery, very large indeed. ” Paul Nash was deeply affected by his experiences as a soldier and an artist during the First World War. This picture was based around ‘the mystical association of two objects which inhabit different elements and have no apparent relation in life… The pale stone sphere on top of a ruined pillar faces its counterpart the moon, cold and pale and solid as stone.’Though not explicitly about mourning, the deep, unpopulated space and ghostly lighting gives the scene a melancholy air. 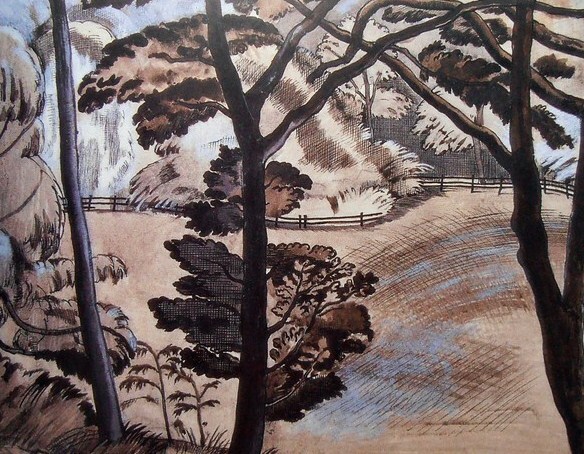 Rather than depict a real landscape, Nash said that his intention had been ‘to call up memories and stir emotions in the spectator’. My pillar doesn’t have it’s sphere! 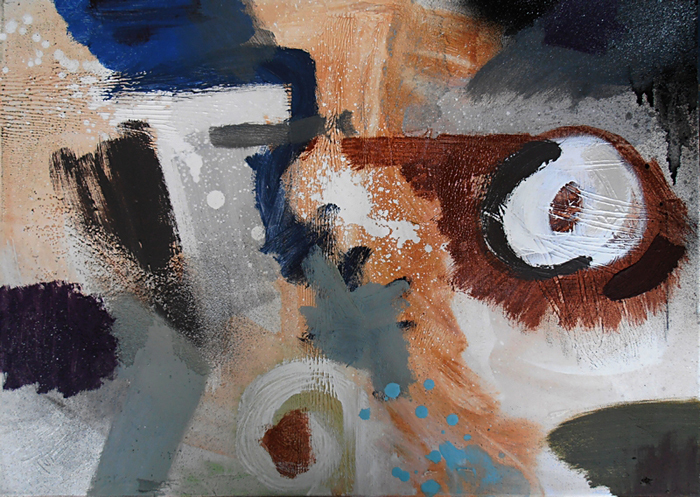 I did paint another painting with a sphere in it around the same time as “Pillar and Moon”, which I trashed. Rather sorry about that, as it was interesting, but I turned it into something else. (That one’s still in the cupboard waiting to be taken for another outing!) To me, the painting by Paul Nash “Pillar and Moon” does have a sense of mourning about it, which I like. Maybe an awareness of disconnection between two related entities? Maybe the hard and cold and near, needing the light and soft and far? Maybe and maybe not…But an interesting relation, clearly, which is why I took it up. Mine seems less mournful. My moon is linked with the pillar with a broken line, so they still have a relationship. I also painted a reflection too. I think about the painting this way long after completion…It’s not something I am conscious of at the time…these possible ideas which might be floating about in the back of my head, which is the way I like it to be. I’m not taking the analysis any further than this though. I am sure I could go into what moons, orbs and pillars might symbolize and in the process create an interesting “explanation” for the work. The main pleasure for me in “Pillar and Moon” is that it is quite different from a painting with a clear intention at the outset! Quite different, more of an exploration, not just of the surface and colours as is the case when using a pre-existing design like the recent Allglass painting, but rather of the mystery of the process of painting itself? Well, a stirring of emotions, yes. That will do. Stirring of emotions is a great reason for any painting to exist, and paintings don’t need anything more, though it is always interesting to speculate as to what might have been going on there I guess. Can I find the image I had of the Paul Nash “Pillar and Moon”…. NO! But it is well-known and easily found. I get a great deal of pleasure from looking at his work and so in the absence of “Pillar and Moon” here is, at least, another beautiful work by Paul Nash to feast your eyes on. I am reaping the benefits of a regular studio schedule, and find the beginning of the week much better than the end of it! Discipline is very important and I am finding that making that studio time sacred is very helpful, as is indeed generally organising time in a more structured way. I have always been a very disciplined person in terms of working, but it has to be said that the challenges of being both a mother and an artist need careful management. And yes, you don’t actually need a separate studio to have sacred studio time! Hooray! It is the structuring which happens within and is expressed outwardly which can bring the necessary environment, thought this probably is harder without the physical space defined before you start working! I currently focus on painting on Mondays, Tuesdays and Fridays…though Fridays often get used for making frames and other less intensive tasks. Tuition and teaching or other projects sometimes slip in…Also painting boards white. Mixing up new colours. Research, reading, study, promotional things. I’m making more regular slots for exercise and prayer. which has got to be good for body and spirit! I pack as much domestic activity into the parts of the day which I know are less productive for me creatively, ie after 4pm in the afternoon is the best time to throw myself into domestic chores and all things domestic. The prime part of the day for me is from 8am in the morning till around 2pm…I work best then. If I set up at 8am, then I have a good foundation for a days painting work. I’ve stopped moaning about the restrictions of my situation and instead now recognise the benefits of being in control of my working schedule. I said to another female painter I met recently how I felt it was a great privilege to be able to paint, and she didn’t get what I meant at all…She saw it as a right I think… I think “I could be living hand to mouth, with hungry children and little shelter”. I always feel immensely fortunate to be able to work with paint in the way I do, and not a day goes by when I take it for granted. Maybe it is the years when this was less possible for me which have taught me something, because life has been more precarious in terms of survival in the past. While life is certainly not problem free, particularly in the current economic climate, and the choices we make are never without cost of some kind, basically I find myself blessed with sufficient resources to use for the passion which drives my life forward, and this has not always been the case. 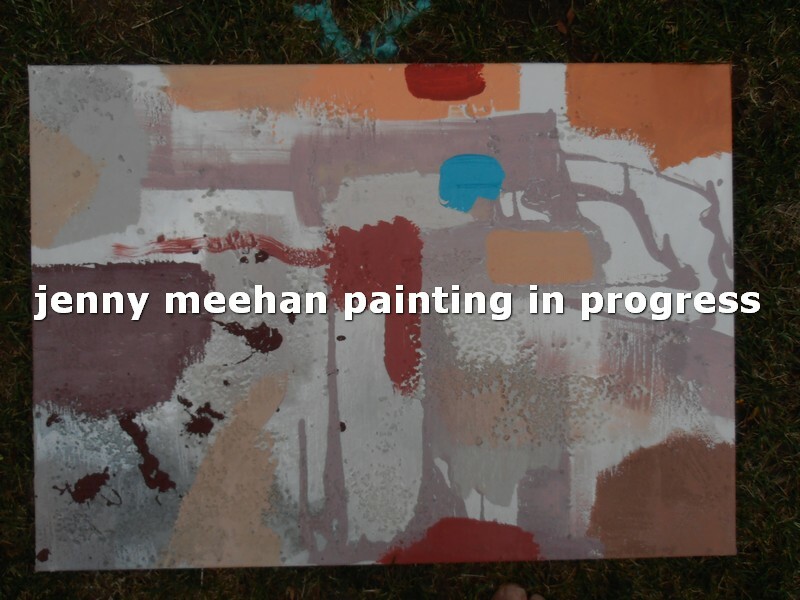 Interesting to find out more about what has been involved in the formation and development of her painting journey.